Don’t Laugh – Invest At Least 65% of Your Portfolio In Precious Metals! …With gold over $1,700, it is nearly impossible to get anyone from the general public to buy gold. It’s gone too high, they cry! CNBC says it was a bubble, they repeat like trained seals. It’s gone from near $300 to nearly $2,000 in the last decade. Surely that is a bubble and if it hasn’t already popped it soon will, right? No. That’s not right. This is the problem with watching the value of anything in terms of constantly depreciating US Federal Reserve Notes. In the following chart, when looking at the price of gold in nominal dollar terms, it looks like an insane rocket ride of epic proportions but, when adjusted by the U.S. Government’s own, heavily massaged inflation statistic (the Consumer Price Index, or CPI), the price of gold has just finally reached nearly the same level it was at in 1980 and looks far less spectacular. 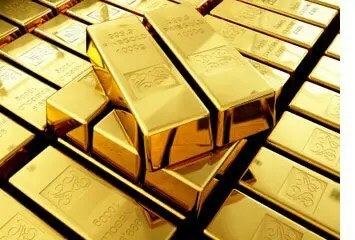 What percentage of gold bullion should people hold as a percentage of their portfolio? While I would have no problem with 100%, we actually recommend…holding 30% of one’s portfolio in bullion – both gold and silver. We also recommend holding [an additional] 20% in gold mining juniors and 15% in gold mining major stocks amongst other things [for a total allotment in precious metals of 65%]. [Why?] That’s because we are expecting all the monetary printing going on with abandon in the western world to foment a true bubble, not only in the price of gold, but even moreso in the price of the mining shares, especially the juniors. We are expecting a mania for the ages in these stocks. How will we know when to sell? When I am asked what percentage of their portfolio should be held in gold bullion and I say 100% – and no one laughs. 1. Gold Bugs: Here’s How to Make the Most of the Continuing Bull Market in Gold! 4. Gold: $3,000? $5,000? $10,000? These 151 Analysts Think So! 8. Believe It or Not: Only 1 Fund Has Outperformed Physical Gold Since 2007! Next Stephen Leeb: Silver’s Going to $60, $70, by the End of 2012 – Easy!